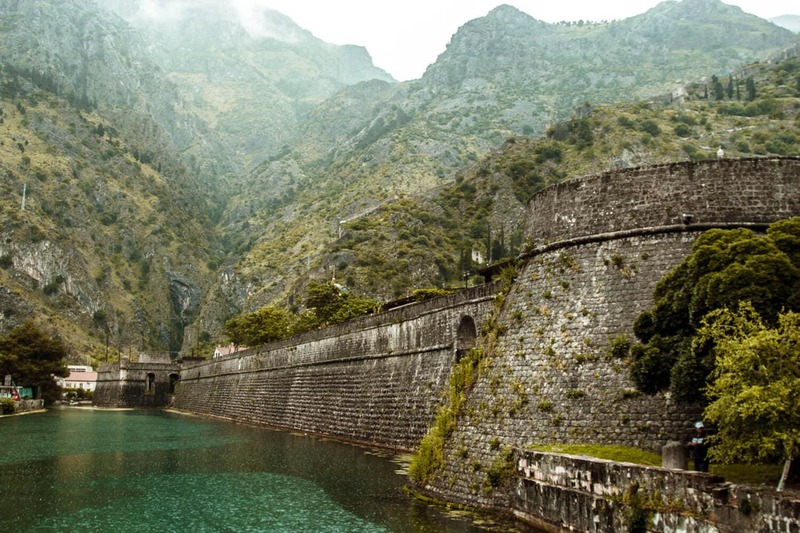 Montenegro is one of the most popular day trips from Dubrovnik, and for good reason. Not only is it easily accessible from Croatia, but it’s high mountain peaks and fjords give you a completely different change in scenery. 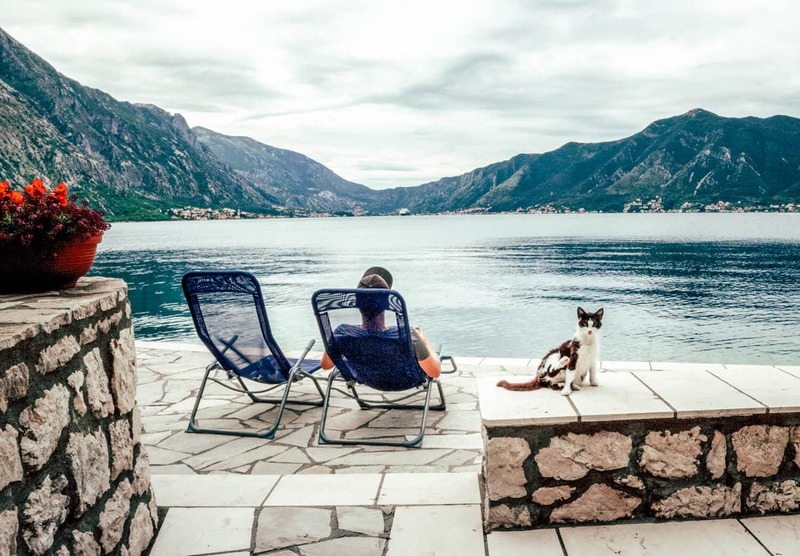 Keep reading for a suggested itinerary, travel tips and everything you need to know when traveling from Dubrovnik to Kotor. Renting a car will give you the most freedom on your day trip from Dubrovnik to Kotor. It’ll allow you have the option to explore beyond where the bus, or even a tour group will take you. If possible, I highly recommend this option. You’ll find the best deals on rental cars at the Dubrovnik airport, and the Montenegrin border is only a short 20 minute drive from there. From the border, it’s about an hour drive to Kotor. There are several daily bus departures from Dubrovnik to Kotor. Expect the ride to take between 1hr 50min to 3hr 45min depending on the bus (this does not including the border wait times). 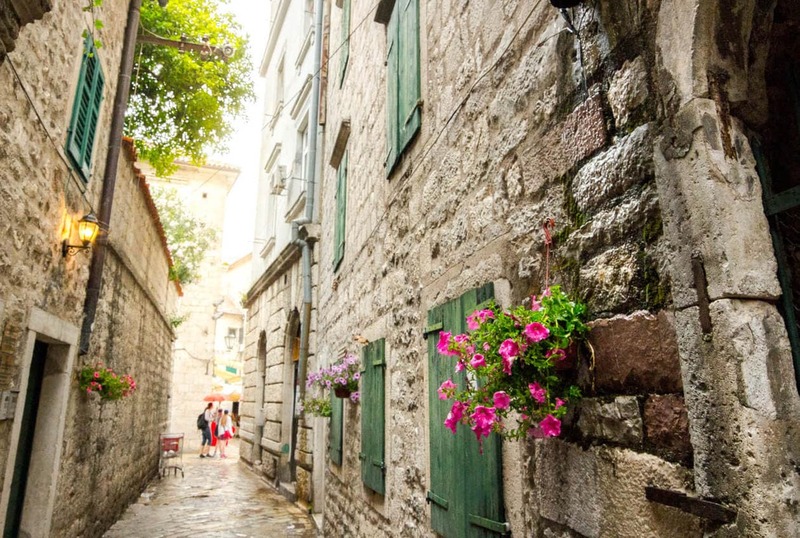 There are tons of tour companies offering day trips from Dubrovnik to Kotor. While I’m not the biggest fan of operating on someone else’s schedule, this is the easiest option with the least amount of thinking. 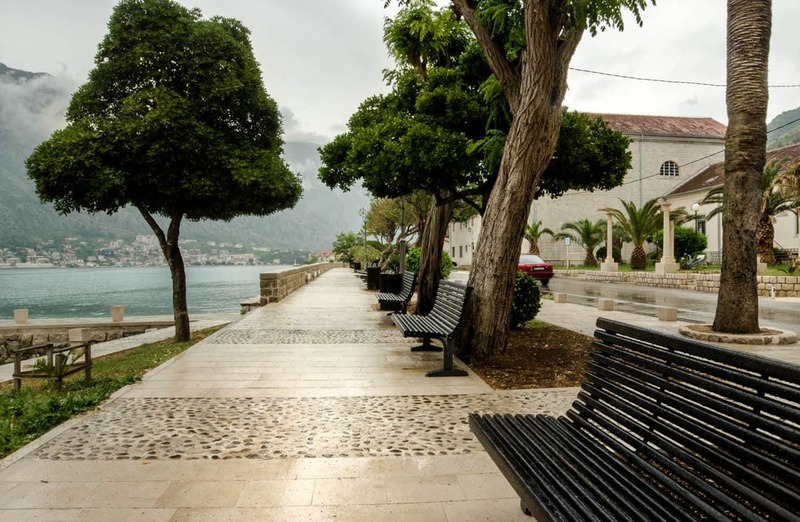 Many Kotor day trip tours include time in Budva but skip Perast. Perast was one of my favorite stops, so if I had to pick a tour, I’d recommend this one. THE CROSS BORDER CARD // NECESSARY OR NOT? 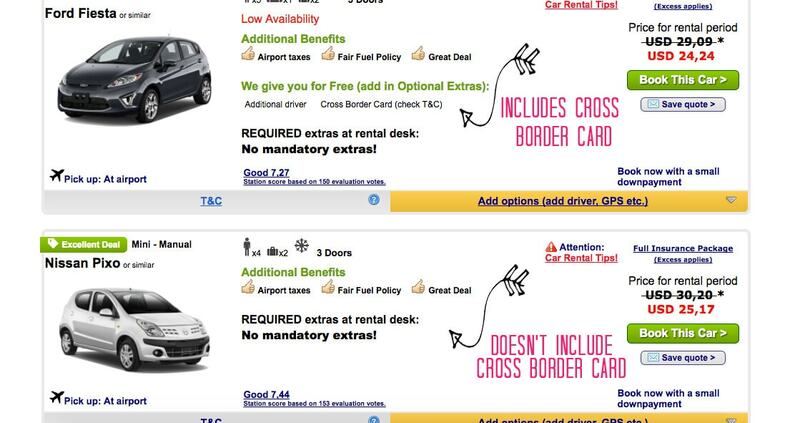 While reading the fine print on rental cars in Dubrovnik I was noticing rental companies charge an extra $90-150 USD for a cross border card. A cross border card aka green card is required to cross the border from Croatia into Montenegro. However, what most rental car companies don’t tell you is that it’s already included in the green card system that your rental insurance provides. To be safe and avoid any unnecessary complications or fees when picking up my car, I booked through EconomyCarRentals.com. Not only did they have the cheapest rates, but they advertise free cross border cards with certain rentals. It gave me peace of mind that I wouldn’t have to argue with the car company at 7 o’clock in the morning. If for some reason you find yourself needing a green card at the border, they sell them for €15. I’d heard stories about it taking 3 hours to cross the border, but our trip into Montenegro (and back) was pretty quick and self-explanatory. When you reach the border, you’ll be asked for your passport. If driving, you will also need to present your car’s green card. In May, crossing from Dubrovnik to Montenegro took us 47 minutes. Heading back into Croatia from Montenegro took us 23 minutes. Pick up your rental car in Dubrovnik around 7am and drive towards the border to complete the crossing. Once you’re in Montenegro, you’ll pass a large red supermarket called Voli (5-10 minutes past the border). You can stop here to grab some snacks or breakfast from the bakery, use the restroom and pull money from the ATM. From the supermarket, it’s only a one hour drive to Kotor. As soon as we crossed the border from Croatia, I noticed a complete change in scenery. I assumed because the countries are so close that they would be similar, but Montenegro looks and feels completely different. As you drive around the bay, take your time, notice the differences, and feel free to stop for pictures along the way. 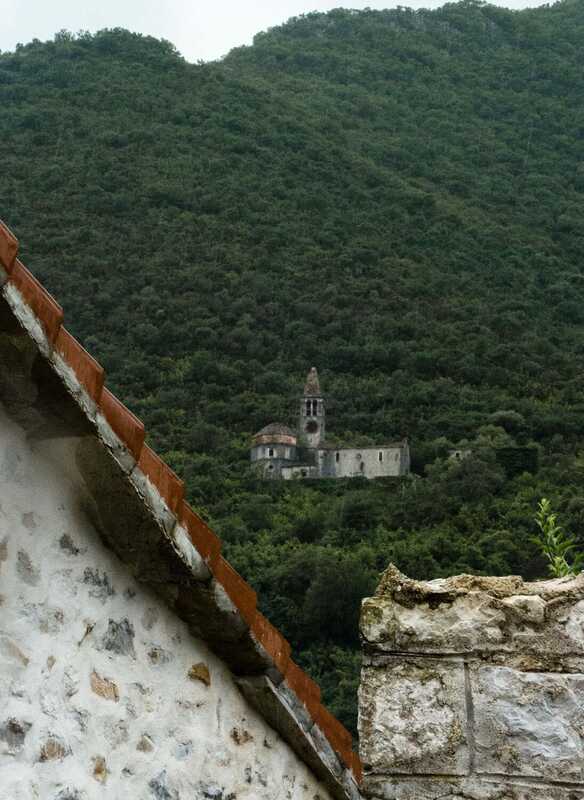 Your first stop in Montenegro will be Old Town (the main tourist zone), a good way to get acquainted with Kotor. I highly recommend starting the morning by climbing the castle walls (accessible from within Old Town) to the fortress for the absolute best views. Making your way up the mountain as early as possible will hopefully allow you to beat some of the crowds. Allow 1.5-2.5 hours roundtrip depending on your level of fitness. 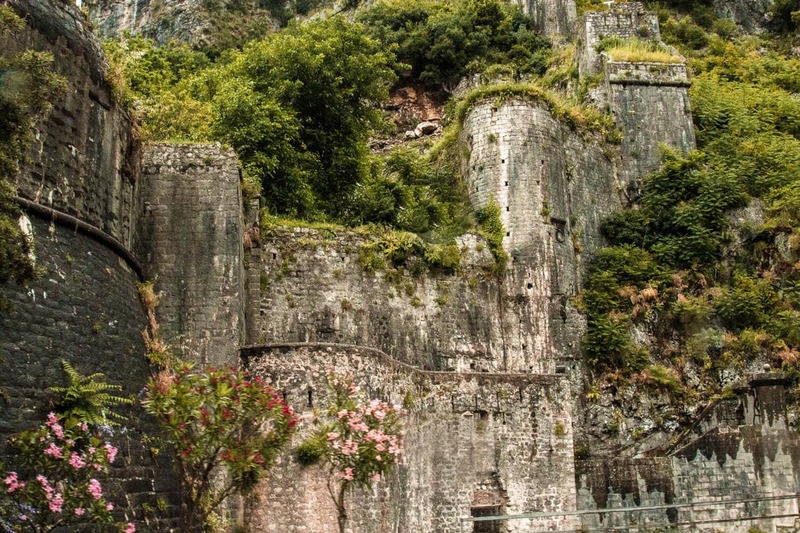 After scaling back down the mountain, reward yourself with a cold beer and some lunch, and then spend the next 1.5-2 hours exploring within the city walls. Around 2pm, say good-bye to the old city and hop back in your car for a drive around the bay. We drove in the direction of Tivat and stopped in several of the tiny towns, my favorite being Prcanj (only 10 minutes from Old Town). There were zero tourists around and it was nice to see a more mellow, quieter side of Kotor. 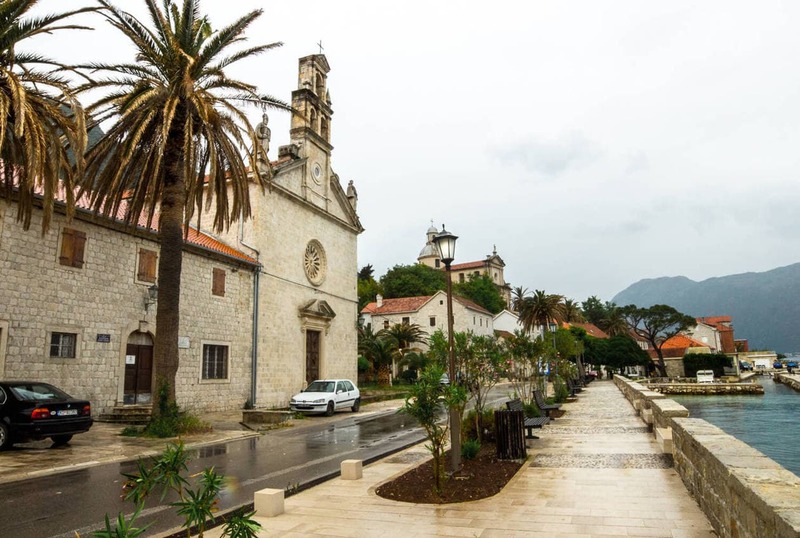 Alternatively you can take this time to go to Budva (30 minutes from Kotor). As much as I wanted to see Budva, we decided against it this time in order to maximize our time. Now that it’s getting into the afternoon we’ll start heading back the way we came, past Old Town towards Perast. If you’re a fan of oysters & mussels, you must stop in for some of the freshest (sustainable!) 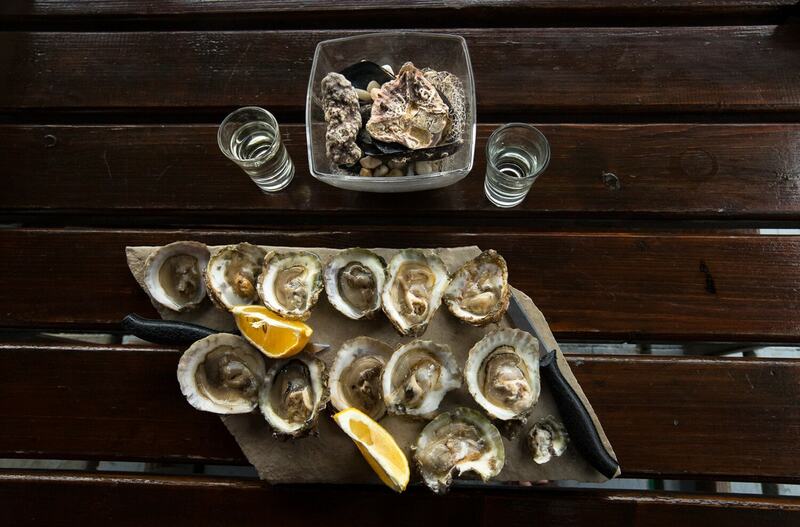 oysters in Montenegro. 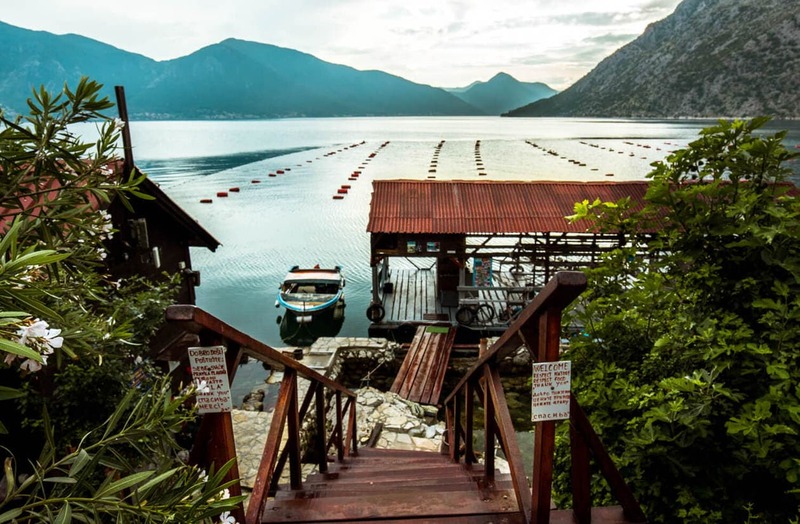 Skoljke Boke is an oyster farm located in Orahovac, located between Perast and Old Town. Appointments must be made in advance but it’s an unforgettable experience. 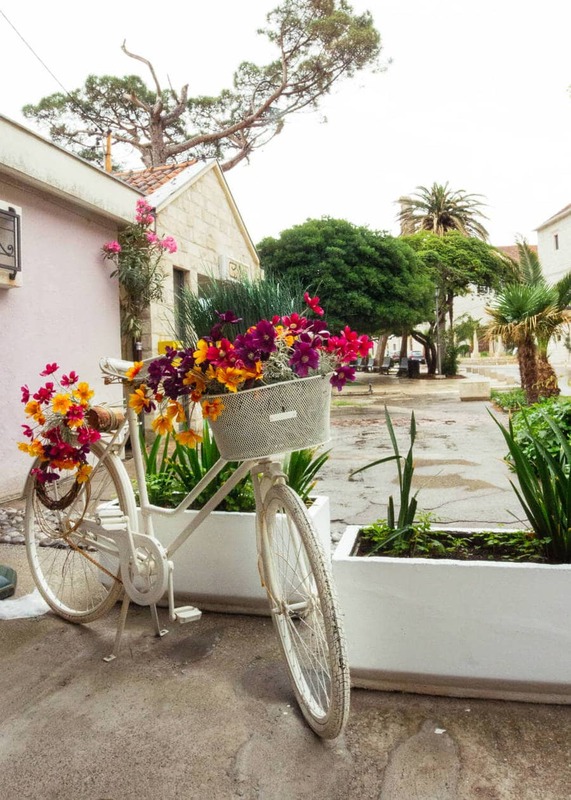 After your oyster appetizer, drive 5 minutes up the road to Perast. 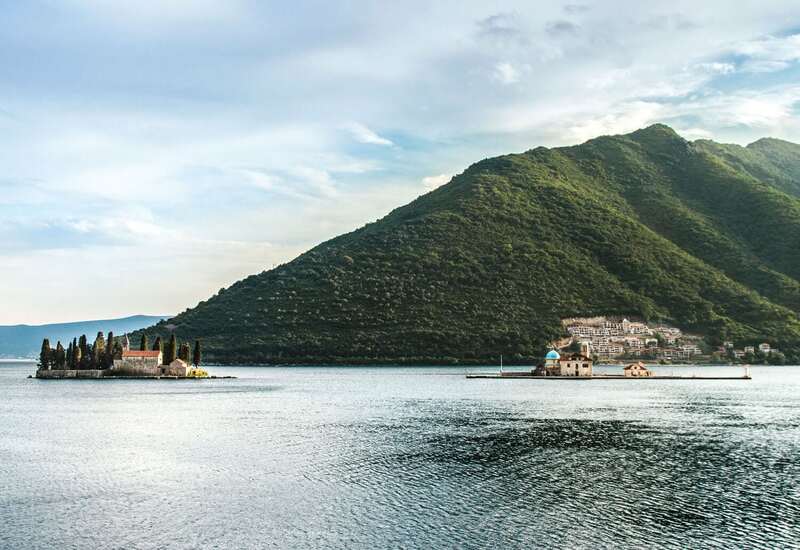 Perast is a picture perfect bayside town with two unique islets off the coast. Start off by hiring a boat to take you across the bay to visit Our Lady of the Rocks, a Roman Catholic Church and museum. The boat ride cost €3-€5 and the whole visit should take less than an hour. Afterwards, spend the rest of the afternoon in Perast. I also recommend having dinner here while the sun sets for great views and good lighting for pictures! Read my post HERE for pictures of Perast plus restaurant recommendations. After dinner, start your drive back to Croatia. DAYLIGHT HOURS Daylight hours in Montenegro vary depending on the time of year you visit. This can heavily impact your itinerary, so you might have to cut out some stops or move them around to make it work. The earliest sunset is around 4:12 PM in December, and the latest sunset is 8:26 PM in June. BRING YOUR PASSPORT Self explanatory but easy to forget. If you’re driving you also need your drivers license, even if it’s international. CURRENCY CHANGES Croatia’s currency is the Kuna and Montenegro is on the Euro. While you can find vendors who will accept Kuna across the border, it’s most practical to exchange money either in Dubrovnik, or withdraw some at an ATM in Montenegro. Overall, Montenegro is cheaper than Dubrovnik so budget accordingly. 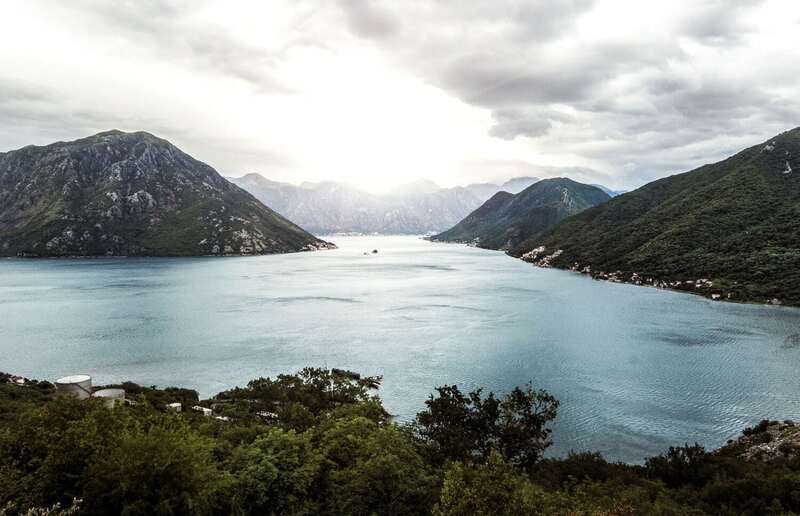 LEAVE EARLY Even though it’s close in distance, a day trip from Dubrovnik to Kotor is an undertaking. 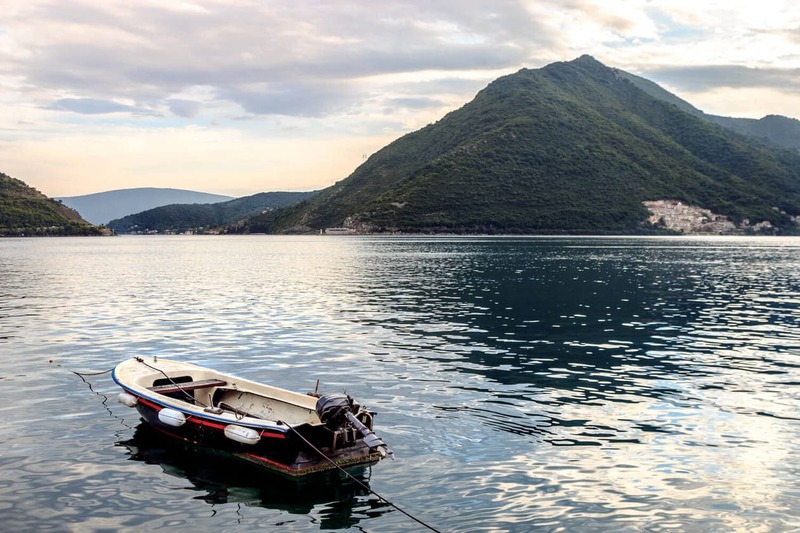 Leave as early as possible to give yourself ample time in Montenegro. GIVE YOURSELF ENOUGH TIME TO GET ACROSS THE BORDER (BOTH WAYS!) 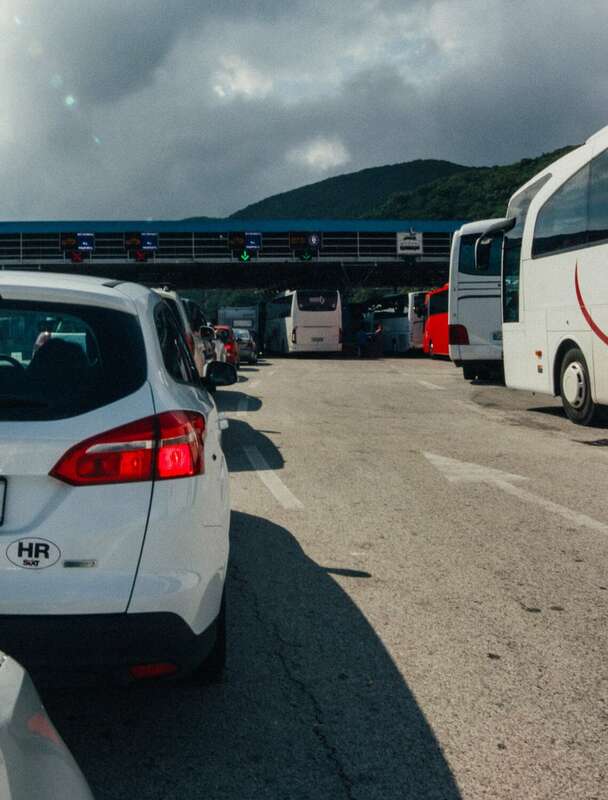 Depending on the time or day, crossing the Montenegrin border could take 5 minutes or it could take 3 hours. While you can never really guess how long it’ll take, arriving early in the morning or late at night will most likely cut your wait times. Also, factor in more time to cross if you’re visiting during the peak summer season. PLAN AROUND THE CRUISE SHIP SCHEDULE Kotor is a major cruise ship destination and if you’ve been spending any time in Dubrovnik, you probably know how much of difference that makes in the overall crowdedness of the city. When planning your day trip from Dubrovnik to Kotor, check out the cruise ship schedule in advance. If possible, plan your day around when few to no ships are in port. Check out the year’s schedule here. DRIVING LOGISTICS Both Montenegro and Croatia drive on the right side of the road. Talking on your cellphone while driving is illegal and speed limits are strictly enforced. The roads are in good condition and it’s an easy drive with not much traffic. GET GAS IN MONTENEGRO When heading back to Dubrovnik, it’s much cheaper to fill up your rental car in Montenegro. There’s a gas station close to the border, near the supermarket Voli. 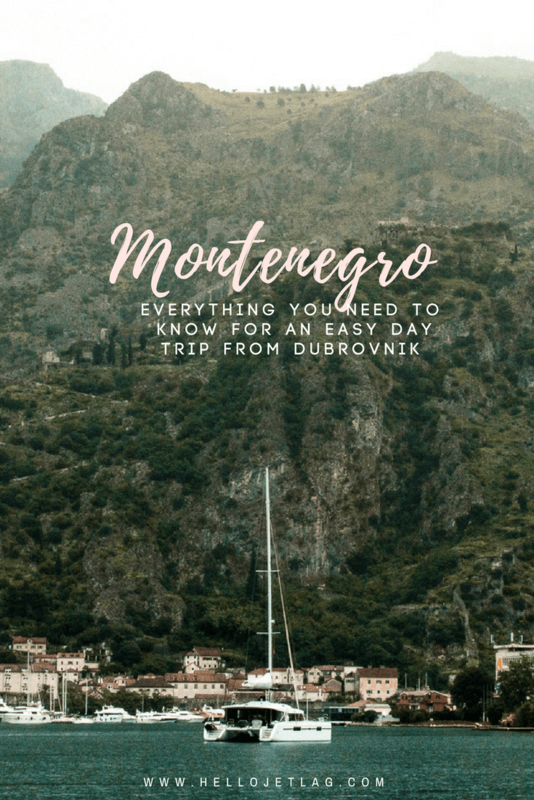 I’m heading to Croatia and Montenegro in March and am SO happy I found this post online! This has by far been the most comprehensive itinerary I’ve found in the weeks of searching! Thank you so much for putting so much thought behind this. Thank you so much for taking the time to comment and let me know! I’m so happy to know that it’s been helpful for you. Have so much fun on your trip!! Did you have to reserve your rental car in advance? Yea, I reserved in advance (2 weeks) because I noticed that the car availability was dropping the longer I waited. Thank you for such an informative report. Will be in Dubrovnik early April and will visit Montenegro. Your information has just made it a lot easier. The little tips, like fuel up in Montenegro is great. Hi I haven’t been to Kotor and I wonder sth. Since Kotor is surrounded by high mountains, how much daylight does it take in an average summer day? I’ve heard that the sun isn’t seen more than an hour in the sky, is it correct or an exaggeration? Thanks a million for sharing all this valuable information! Looking forward to me trip in Aug. Got loads of tips from your blog. Glad I could help, and thanks for letting me know! 🙂 Wishing you an amazing trip in August. Wonderful info Lindsey! Thanks! I’m planning on going early June from Dubrovnik. 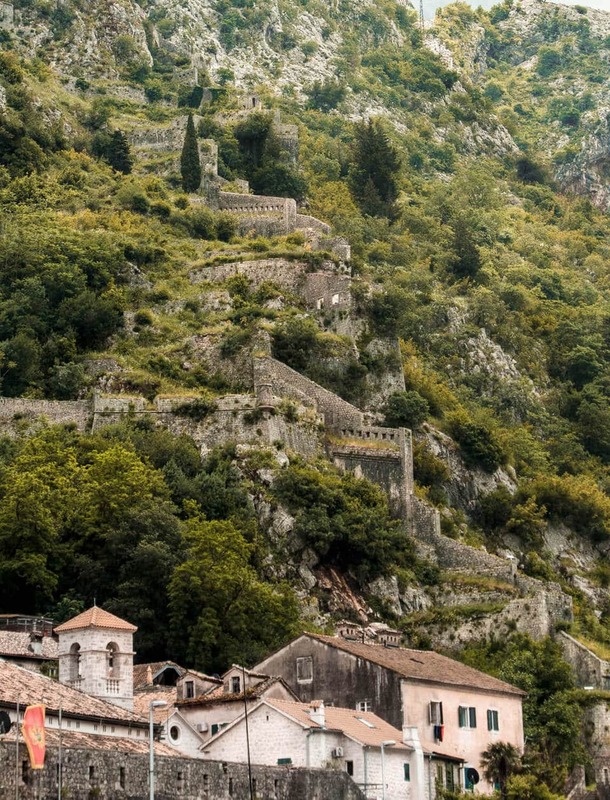 Would you extend your trip and stay in Kotor a day? If so where would you stay? Is there ample parking available? Hi Bud! If your schedule allows, I’d definitely consider staying the night in Kotor so that you don’t have to rush through the day. I loved Montenegro and would have actually extended my trip by a few days if I could’ve. There was a parking lot next to Old Town for pretty cheap (I can’t remember how much, sorry! I think it was around $3USD), street spots were limited. The further you get away from Old Town the better the parking situation got. As far as places to stay: if you want to stay in Old Town I have a few recommendations at the end of this post(Old Town Kotor: What to See & Where to Stay). 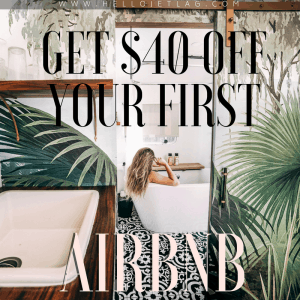 Or, check out AirBnb! We got a great deal on a place right on the bay, about 5 min from Old Town. Hi, Was it easy to park the car at the different sights? Did it cost money to park? Thank you for a great post, so helpful! Yes it was very easy and we always found a spot either on the side of the road or in a parking lot. The only time we had to pay for parking was outside of the Kotor Old City. It was inexpensive (I think around $3 USD?) There is free street parking available near the Old Town but it was super busy on the day we visited. Thanks Lindsey. Your blog is very informative. 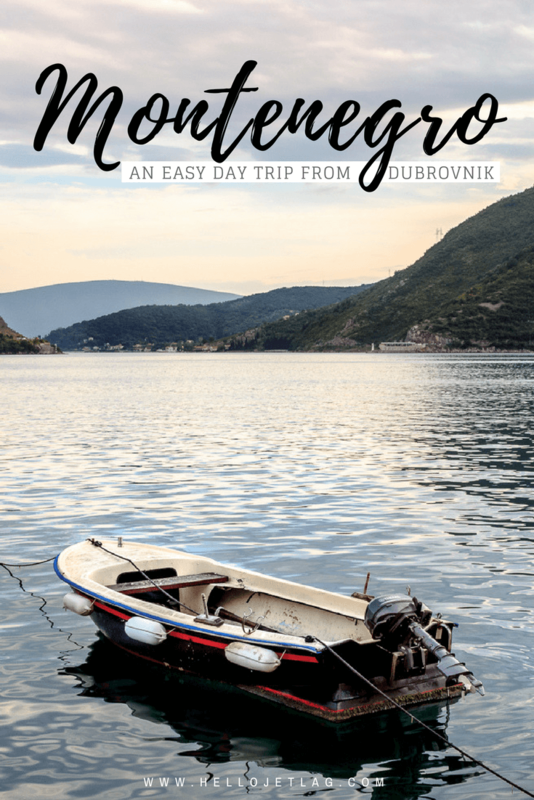 It gave me confidence to consider driving to Montenegro for a day trip from Dubrovnik. Regarding parking cars in Kotor, was it easy to park? Are the parking rules/ instructions in English? Just want to ask if you also did a day trip and travel blog on Mostar and Medugorje. I’m glad this was helpful! As far as parking, it was very easy/self explanatory. There are no rules for parking in most places, we would just pull over on the side or into a small lot. Near Old Town Kotor, where it’s busier, you might have to park in the pay lot. They have free street parking available but it was limited. The pay lot had rates in English and I think it was around 3 Euro for the day. It’s very touristy so you will find most signs to be in English. Unfortunately I didn’t make it to Mostar or Medugorje this time around. Sorry! Was your passport stamped when crossing the border? Thanks! Hi Lindsey, great post which has helped put my mind at rest as I am driving from Dubrovnik to Kotor in a few weeks time! I’ve noticed that there seems to be a ferry trip as part of the journey (or you could take a longer route by road). Any thoughts or advice on either option? Hi Lesley! I actually didn’t notice the ferry option when we were there, so we just drove. From the border it was only about an hour so I can’t imagine that it would cut too much time off to take the ferry. I bet pulling up to the bay by ferry would be beautiful though! If you end up doing it, I’d love to know how the experience was! Great summary. I’m headed there in September. Did you have any trouble on the road, like narrow or poorly maintained roads? What about navigating? Did you use paper maps or online maps? Will a SIM card from Croatia work in Montenegro? Hey Donald, sorry for the late reply. We didn’t experience any poorly maintained roads at all, they were all very easy to drive on. As for navigation, we used online maps. I usually download an offline map via the Google Maps app and then I can use it even without cell service or wifi. I didn’t actually use a SIM card (only wifi) so I can’t offer advice in that area. 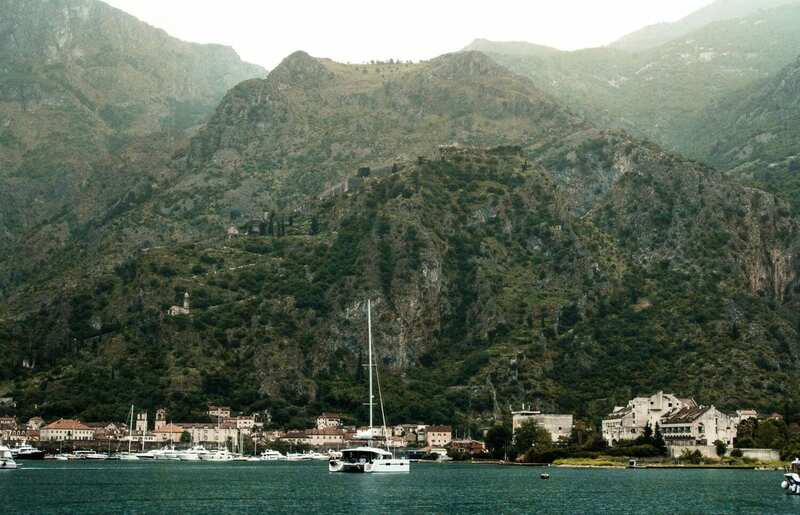 You mentioned Kotor is surrounded by high mountains. So, do it has curve road driving from Dubrovnik to Kotor? Do it has narrow road from Dubrovnik to Kotor? Hi! I’m so sorry for the late reply, I must’ve missed your comment. Yes the road is pretty narrow (it’s just two lanes) and there are quite a few curves. The drive is about 2 hours so technically you can do it, but there are conditions that might cut into your time in Dubrovnik. The main thing I would be nervous about would be border wait times since they are always different. If you are traveling during peak season, you should give yourself more time at the border on both sides. Also.. factoring in time to pick up and drop off your rental, I’d say you might only have closer to 3 hours in Dubrovnik. 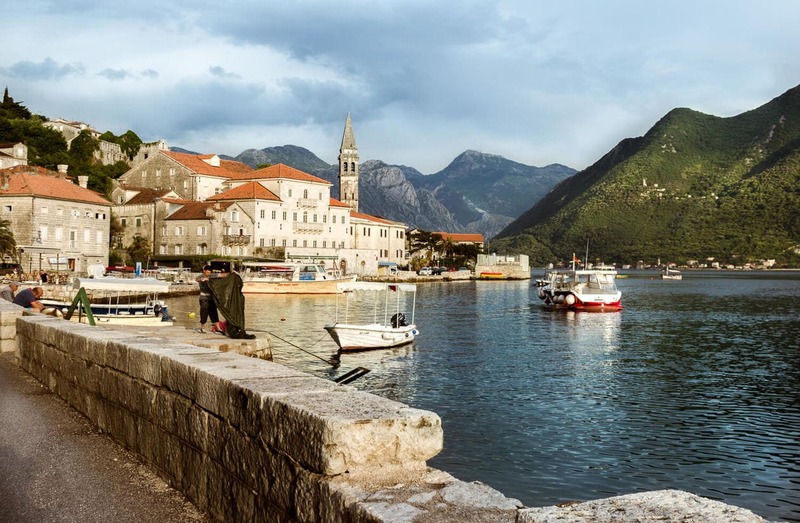 Yes, your Schengen visa is valid for Montenegro. There are a few twists and turns but you don’t go into the mountains and the road was not hilly. From Dubrovnik, you’re driving around the perimeter of the bay and the road is pretty flat. Hope this helps!